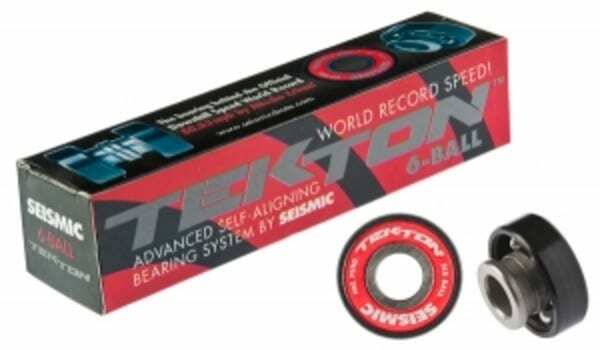 Wheel Bearings – Tekton™ 6-Ball – Set of 8. More than two years in development, Seismic Tekton bearings feature wide, flat contact surfaces at the ends of integrated, custom-machined half-spacers. The broad flanges square up, co-align and self-stabilize inside your wheels – correcting for flaws in bearing seat levelness, bearing seat spacing, axle diameter and axle straightness.